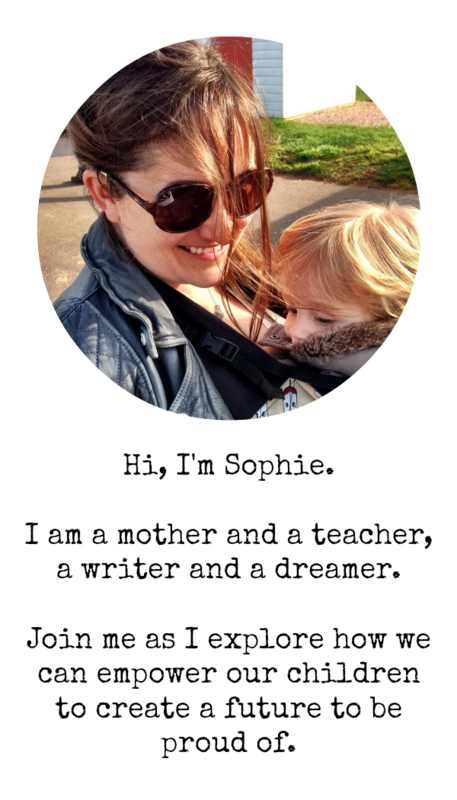 My blogging journey began in 2013 with the launch of sophieis.com. It was there I found the voice that had lain dormant for too many years, and began to carve out a new identity for myself as a writer and a mother. Since then I have developed particular expertise in writing about babywearing, blogging for Connecta and now Integra Baby. With Raising Revolutionaries, I am focusing in on my passion for respectful parenting and education, and am keen to work with others who share my values and goals for children and young people. At the moment my main priority is enabling my four year old son to find his place in the world, and nurturing his baby brother who arrived in September 2017. This little corner of the internet serves as a place for reflection and personal growth as I continue on my parenting journey. My experiences as a mother shape and develop my beliefs about how we can best raise our children to lead happy and fulfilled lives, building on almost twenty years experience of working with young people as a school leader, teacher and arts practitioner. I am open to contact from companies or organisations who would like to discuss collaborations, sponsored posts, advertising or product reviews on this site – or indeed the creation of custom content for your own platforms. Please get in touch if you think we might have something to offer each other and we can take it from there.